Although there is much interest in poverty reduction, there are few agreed upon strategies to effectively reduce poverty. 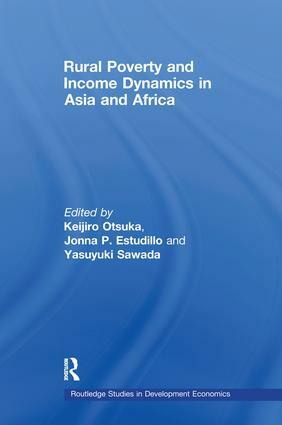 In this new book, the editors have gathered together various evidences on poverty dynamics, based on panel data from the last few decades in the Philippines, Thailand, Bangladesh and Tamil Nadu in India, compared with more recent data from sub-Saharan Africa. The major finding of this research project is that rural households in sub-Saharan African are beginning to experience the same pattern of structural change in income composition and poverty reduction that Asian households have experienced in the past 20-25 years. The chapters in the book explore how the spread of Green Revolution has triggered the subsequent transformation of rural economies. Many rural households in Asia have been able to move out of poverty in the presence of increasing scarcity of farmland initially by increasing rice income through the adoption of modern rice technology and gradually diversifying their income sources away from farm to non-farm activities. Increased participation in non-farm employment has been more pronounced among the more educated children, whose education is facilitated by an increase in farm income brought about by the Green Revolution. This book identifies the importance of Green Revolution and non-farm employment for poverty reduction in Asia, which provides valuable lessons for sub-Saharan Africa.